Discover English was formed in Melbourne in February 2010 with the objective of being one of Australia’s premier English language colleges. The college is quality endorsed by NEAS and is a member of English Australia. Discover English currently recruits students for study in General English, English for Academic Purposes, Business English, IELTS Preparation and Cambridge ESOL courses. General English classes are run from Beginner to Advanced levels. English for Academic Purposes classes is run at Upper Intermediate and Advanced levels. Business English is at Upper Intermediate level. IELTS Preparation is at Upper Intermediate plus level. Cambridge ESOL courses are offered for PET, FCE, CAE, and CPE. Students are at the centre of our organization. We provide flexibility and choice to ensure that each individual student is doing the course that’s right for them. Discover English was the first school to offer its students an extra 10 hours per week of free instructions (an optional 5 hours in the library with a teacher and 5 hours of electives). We also run a free weekly job seminar and activities 7 days a week. Academically, students are tested and evaluated weekly to ensure individuals can level up at their own pace. Awards 2016-2017 Cambridge Assessment English Awards -	Best New Centre (winner) 2015 Cambridge English Assessment Awards for Preparation Centres -	Outstanding Business Growth (finalist) -	Outstanding Service to Customers (highly commended) Victorian International Education Awards -	English Language Training (finalist) 2014 Cambridge English Assessment Awards for Preparation Centres -	Student Support (finalist) 2013 Victorian International Education Awards -	Student Support (Highly Commended) -	English Language Training (finalist) -	Student Experience (finalist) Discover English is an authorized TOEIC and Cambridge test center. Reasons to choose Discover English: -	Students come first -	First class student services -	10 hrs of free classes/teacher support each week -	English only campus -	Two different timetables and greater flexibility -	An academic and fun approach -	Central location and modern facilities with free wifi -	Handpicked homestay families and student lodge as accommodation options -	A broad range of articulation agreements with a number of TAFEs, Colleges and Universities. Resource base – staffing, qualifications, library, buildings, etc. 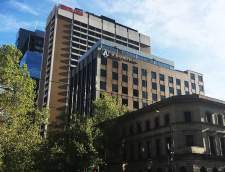 Discover English is located at 247 Collins Street Melbourne and occupies 6 floors of the building. The basic facilities comprise 18 classrooms, 1 student lounge, 5 common lounge areas, 1 student kitchen, a fully resourced Student Library and computer room with 20 student computers, an additional computer room with 10 student computers, free wireless access throughout the building. The location provides students with ready access to all forms of public transport, city library facilities and a wide range of shops and conveniences. All academic staff have the minimum qualifications as per NEAS accreditation standards. Het OHC Melbourne Campus-gebouw bevindt zich in het CBD, dicht bij vervoer, cafés, restaurants, tuinen, parken en designerwinkels. En met een van de beste openbaarvervoersystemen in Australië, direct voor de deur van onze campus, is het gemakkelijk om optimaal te profiteren van al deze prachtige steden te bieden hebben, te voet, met de fiets, met de tram of met de trein. 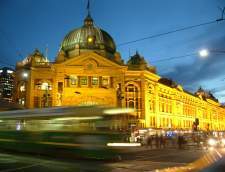 Welke betere plek om Engels te leren, studeren en spreken dan in Marvelous Melbourne, rijk aan cultuur, het mekka voor kunst, muziek, theater, mode, grote internationale sportevenementen en entertainment. Consequent uitgeroepen tot 's werelds meest leefbare stad' en de meest diverse en Europees van alle Australische hoofdsteden; Melbourne heeft een aantal van de beste gerechten op het zuidelijk halfrond, met verbazingwekkende en eigenzinnige architectuur en straatjes. Het heeft multiculturaliteit aan het hart, geïllustreerd door zijn enorme scala aan keukens, diverse achtergronden en culturele invloeden en heeft een van de grootste concentraties van universiteiten in Australië. Studeer Engels in Melbourne en maak de stad van jou. Profiteer van elke hoek van deze gemakkelijk te navigeren stad en ontmoet mensen uit alle delen van de wereld. Ervaar de opwindende mix van culturen van Melbourne, die te zien is in zijn culinaire aanbod, etnische wijken en pubs. Melbourne is een kosmopolitische stad, de op één na grootste stad van Australië. Het is een gemakkelijke plek om je op je gemak te voelen, waar je je snel thuis voelt! Maak kennis met Melbourne en ontdek hoezeer deze vriendelijke en ontspannen Australische stad als thuis voelt. 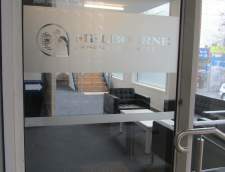 Learn English & live in your private teacher's home around Melbourne with Home Language International! 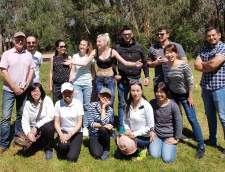 Home Language International (HLI) is a family-run business offering language courses in more than 20 languages in over 30 countries worldwide, including English lessons at an experienced private teacher's home in Australia. More than 5,000 students take advantage of our services every year. Ian Josephs, Danielle Josephs, their 5 adult children and an expert team of dedicated staff all put in very long hours for HLI. 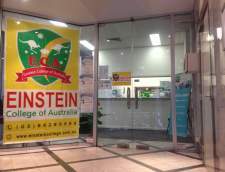 You stay in an experienced teacher's family home, have one-to-one English lessons and then continue to use the language during the rest of your stay in Melbourne. Because you are the only student, you are guaranteed individual attention. The lessons are completely designed for you, so the teacher will focus exactly on what you need. Mealtime conversation, television and social contacts are all in English. All of our teachers in Australia have a university degree (or equivalent) and/or a recognised teaching certificate. All teachers have been visited by one of our local organisers. Their qualifications have been checked and their homes throughly inspected. During your stay in Melbourne, a local organiser will monitor your progress and make sure your experience is both happy and successful. Home Language International (HLI) is accredited by the Accreditation Body for Language Services (ABLS), Association of Language Travel Organisations (ALTO), and UNOSEL. Learn English & live in your private teacher's home around Melbourne with Home Language International! Home Language International (HLI) is a family-run business offering language courses in more than 20 languages in over 30 countries worldwide, including English lessons at an experienced private teacher's home in USA. More than 5,000 students take advantage of our services every year. Ian Josephs, Danielle Josephs, their 5 adult children and an expert team of dedicated staff all put in very long hours for HLI. You stay in an experienced teacher's family home, have one-to-one English lessons and then continue to use the language during the rest of your stay in Melbourne. Because you are the only student, you are guaranteed individual attention. The lessons are completely designed for you, so the teacher will focus exactly on what you need. Mealtime conversation, television and social contacts are all in English. All of our teachers in USA have a university degree (or equivalent) and/or a recognised teaching certificate. All teachers have been visited by one of our local organisers. Their qualifications have been checked and their homes throughly inspected. During your stay in Melbourne, a local organiser will monitor your progress and make sure your experience is both happy and successful. Home Language International (HLI) is accredited by the Accreditation Body for Language Services (ABLS), Association of Language Travel Organisations (ALTO), and UNOSEL. Melbourne City College Australia is the number one choice for both domestic and international students who seek quality vocational training. We are not simply a training provider, but passionate about effective and practical education. 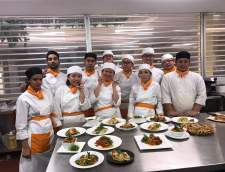 We aim to provide high quality, personalised and hands-on vocational training. 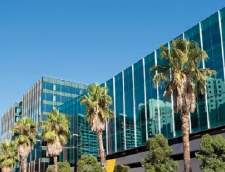 Located in the heart of the Melbourne city, our campus is fairly big with all facilities which can make studying a comfortable and enjoyable journey. We use latest technology equipment and tools to enhance the teaching-learning experience. Our students will always feel supported and empowered through our unique ‘student support program’ and a range of support services available onsite. If you are enthusiastic about enhancing your current skills or developing new skills, enrol for one of our vocational courses today at Melbourne City College Australia. Ashton College is located in Footscray, a few steps away from Footscray Train Station. The school's excellent location and its wide variety of courses make it an ideal location to study English: students can choose from general English courses, examination courses, or executive courses, and can decide between just a few lessons per week to fifty lessons per week. Ashton College has facilities that include a computer room with free internet access and self-study materials, a library and a student lounge. The school offers a monthly social and leisure calendar to invite students to practice their English skills while visiting popular points of interest in and around the city. Our students are our top priority...Every student comes with a unique set of skills and our job is to help every student identify what drives and motivates them to learn. At Turner English, all the teachers are personally trained by the school Principal, with a Masters Degree in Teaching from The University of Sydney, Miss Nerada Turner. This means that you can be guaranteed a focused, fun, well-planned lesson every time. Turner English is a results orientated school and we have obtained the 'Top Results in The State' for both PTE and IELTS in 2016 & 2017. If English language tests freak you out, then you can join one of our 'General English' classes. Our General English Classes are full of collaborative tasks, group activities, song, film, excursions, assignments and much, much more... Located out of the City, not in an air-conditioned building, you can enjoy your study in the local areas of Melbourne and fully immerse yourself in Aussie culture and cuisine. 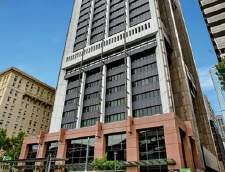 Eurocentres Melbourne finds itself conveniently surrounded by all amenities and close to hotspots like Bourke Street Mall. The highly-qualified teachers and modern learning facilities will help to boost your learning progress in the twinkling of an eye. Your leisure time will then be even more enjoyable while visiting sports events, relaxing at the beach or planning a trip to Phillip Island. The culture, sports and culinary delights are only a few of Melbourne’s secrets. The cherry on the cake - Melbourne is next door to the picturesque Great Ocean Road, Australia’s most scenic drive. Lose yourself in the magic of Melbourne, the cultural capital of Australia! Learn English in Melbourne, one of Australia's most diverse and stylish cities. Melbourne is often referred to as the country's capital of cool, and it's not hard to see why. With a colourful arts and culture scene, incredible coffee, live music and entertainment, sports, world-class fashion and shopping, and vibrant nightlife, the city has something for everyone. Spend some time exploring its many hidden laneways, or wandering through its hip, urban neighbourhoods and you'll discover why Melbourne is repeatedly voted one of the world’s most livable cities. 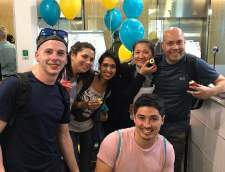 Study English in Melbourne Step into ILSC-Melbourne's newly-designed, modern campus and you'll discover a space that encourages interactive student learning, all with an architectural feel that fits the cool and stylish vibe of the city. 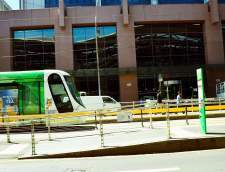 The school is centrally located across from the Southern Cross Railway station, the main hub for getting wherever you need to go inside, and outside of the city. It's also close to amazing coffee shops, delicious cafés and restaurants, and shopping. Come experience all the best this vibrant city has to offer. Embassy heeft meer dan een half miljoen studenten geholpen om Engels te leren. Sommigen hadden het nodig voor hun werk, sommigen voor hun studie. Anderen hielden gewoon van de taal. Maar ze hadden allemaal één ding gemeen: ze dompelden zich onder in een Engelssprekend land en leerden veel meer dan alleen grammatica! Je vindt ambassadescholen in Amerika, het Verenigd Koninkrijk, Australië en Nieuw-Zeeland. We bieden de cursussen die u nodig hebt, van een korte 'top-up' van uw taalvaardigheden tot een intensieve examengerichte klas. We maken onze lessen leuk, omdat we geloven dat wanneer je plezier hebt, je nog meer leert. Onze leraren zijn allemaal gekwalificeerde, ervaren professionals die verschillende technieken in de klas gebruiken: het ene moment doe je misschien groepsdiscussies, het andere moment, in paren of individueel. Onze studenten komen van over de hele wereld - je zult de kans krijgen om vrienden te ontmoeten en te ontmoeten met mensen uit verschillende culturen, die allemaal de gemeenschappelijke taal van het Engels spreken. Onze school in Melbourne ligt direct tegenover Taylors College, ons zusterhotel en Charles Sturt University. De school is trots op het aanbieden van het nieuwste op het gebied van onderwijs- en leertechnologie en er zijn ook mogelijkheden om door te stromen naar de universitaire opleidingen aan de Charles Sturt University, als dat een gebied is dat u interesseert. Je vindt ons op een belangrijke straat in Melbourne, waardoor je heel gemakkelijk toegang hebt. De hoekpositie van de school betekent dat de klaslokalen profiteren van een uitstekende natuurlijke lichtinval. Onze school ligt op slechts een korte wandeling van het centrum, met zijn vele winkels, theaters, bioscopen en eetgelegenheden. Melbourne wordt beschouwd als de culturele hoofdstad van Australië en zowel 's werelds meest leefbare stad' als 'de ultieme sportstad van de wereld'. Het is duidelijk een stad van superlatieven. Je zult nooit te kort komen aan dingen die te maken hebben met de vele culturele evenementen en de uitgebreide sportkalender van de stad. Het staat bekend om zijn concerten met livemuziek, voor elk wat wils. En dit alles speelt zich af in een stad die historische Victoriaanse architectuur en prachtige moderne torenblokken met groot effect combineert - Melbourne is uniek en onvergetelijk. Melbourne Language Centre is located in downtown Melbourne, Australia. 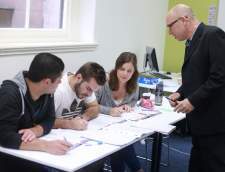 Its easy access to public transport as well as its proximity to a variety of restaurants and cultural points of interest make Melbourne Language Centre the ideal spot for international students to study English and experience life as a Melburnian. Courses on offer include English for Secondary Schools (High School and Junior School Preparation), General English, English for Academic Purposes, IELTS Preparation, and English for Health Professionals (OET). Many of our students begin their studies here before continuing on to pathway courses in local schools and universities. We also offer pathways to Stott’s College and Front Cooking School, which are both part of our same parent company, Acknowledge Education. The English for Secondary Schools programs run for 25 hours a week, while the adult programs run for 20 hours a week. We accept new students every Monday. With an average of more than 10 years of teaching experience each, our dedicated teaching staff are all highly qualified to teach EAL. Melbourne Language Centre’s facilities include projectors in the classrooms, computer labs, free Wi-Fi, lunch rooms, ping pong tables and a library. In addition to their studies, students also participate in monthly field trips that may include going to the zoo, museums, indoor rock climbing, BBQs and hiking in the nearby Dandenong Ranges. Our Box Hill campus is a popular choice for students with family and friends living in the beautiful, leafy eastern suburbs of Melbourne. Box Hill has a well-established Chinese population and a reputation for some of the best and most exclusive secondary schools in Melbourne. Of u nu een student, zakenman of reiziger bent, er is een taalcursus in Melbourne wat bij u past. Er zijn talencursussen beschikbaar voor alle spreekvaardigheid niveaus, leeftijden en duur. Kies een cursustype uit onderstaande lijst om te beginnen. Algemene cursussen Engels zijn voor volwassenen die hun spreek-, luister-, lees- en schrijfvaardigheid in het Engels willen verbeteren. Meeste taalcursussen zijn voor volwassenen van 16 jaar en ouder. 2 - 48 week taalcursussen verkrijgbaar. Meeste intensieve cursussen in Melbourne hebben gemiddeld 30 lessen per week.